I'm one of the first people to roll their eyes in mock despair when a saying of D. Martyn Lloyd-Jones is trotted out in a fraternal or conference as if it was an infallible oracle. The Doctor being dead yet speaketh. No need to give another thought to the matter in hand. I was reminded of this tendency recently when attending a conference in Wales, believe it or not. At one point a 'discussion' was little more than a 'Who's got the best Lloyd-Jones quotes competition'. Even as a Welshman with a deep debt to the great preacher (at least his writings) it was a bit embarrassing. However, while some 'Quote the Doc' merchants are well meaning and harmless, others, it seems are trying to recruit Lloyd-Jones to a cause for which he would have had little sympathy. Ruth Palgrave attempts to do his in her snappily entitled booklet, They Have Forgotten: An Urgent Plea for Evangelicals to Recognise the Danger of the Ecumenical Movement and Remember the Stand That the British Evangelical Council and Dr. Martyn Lloyd-Jones Took Against it. Now, I'm all for being against the Ecumenical Movement. I agree with Lloyd-Jones' call for Evangelical churches to separate from the theologically mixed denominations and come together in gospel fellowship (see Unity in Truth, D. M. Lloyd-Jones, EP, 1991 p. 43). My stand on this issue was one of the reasons I was unceremoniously dumped from my first pastorate some twenty years or so ago. As an FIEC pastor I have to affirm each year that the churches I serve hold to the FIEC's Gospel Unity statement, which entails not affiliating to groups such as Churches Together. But apparently, not even the FIEC is above reproach. At least in the eyes of some. 'Susan' has charged the grouping with compromise over its involvement in an 'Explicit' conference, or something. I'll have to take Gary Benfold's word for that, as for some reason 'Susan' left me off her email list. Never mind. My point is that that while Lloyd-Jones certainly advocated separation from gospel-denying error, he was no 'secondary separatist' like Palgrave and her fellow travellers. There is a slight problem for those who take the 'secondary separation' line emanating from the Metropolitan Tabernacle in claiming the 'Doctor' as their talisman. It is that Lloyd-Jones' great concern in the 1960's was not primarily separation, but schism. It's interesting that his address at the Second National Assembly of Evangelicals in 1966 was entitled, Evangelical Unity: An Appeal. His beef was that in remaining in the mixed denominations, Evangelicals were putting denominational loyalty before church-level fellowship that was rooted in the gospel. He was not advocating secondary separation, that Evangelicals who had left the denominations should have little or nothing to do with those who did not. Still less did he argue that Evangelicals should sub-divide on issues like Bible translations, worship styles, or other secondary issues. In fact he charged those who did with the sin of schism, 'the essence of schism...is division among people who are agreed about the essentials and the centralities, but who separate over secondary and less important matters.' (Knowing the Times, D. M. Lloyd-Jones, Banner of Truth, 1989, p. 253). 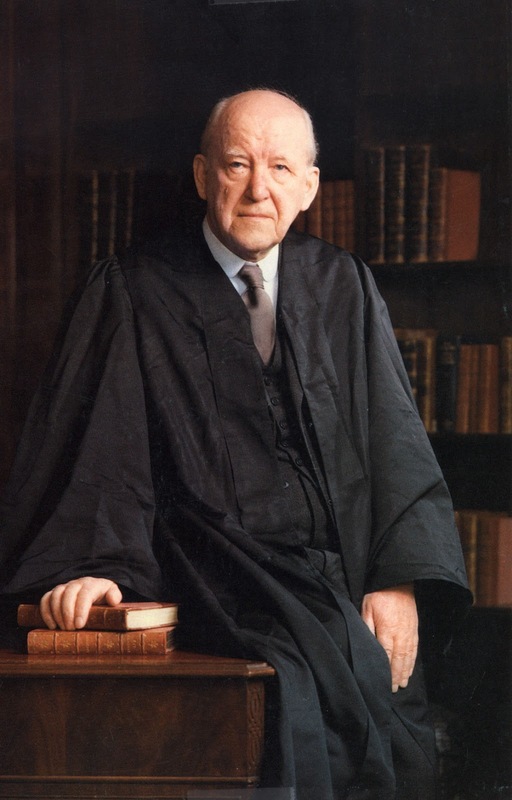 Lloyd-Jones was prepared to work with other Evangelicals whose views were quite different from his own on the charismatic gifts, worship styles, Calvinism and Arminianism and so on. His attitude to dealing with differences between Evangelicals was this, 'If am I convinced that a man is my brother I am going to bear with him. I am not going to divide from him. What makes us one is that we are born of the same blood, of the same Spirit. We are born again by the same Spirit into the same family... I do not separate from my brother.' (Unity in Truth, p. 120-121). The thing with Masters, Palgrave, 'Susan' et al is that they have only listened to one half of Lloyd-Jones' message. He said, 'Come out; come in' (Unity in Truth, p. 43). Separate from gospel-denying error, yes. But also come into deeper gospel-based fellowship that transcends differences on secondary matters. Affinity, the FIEC etc. may not be perfect expressions of Evangelical unity in truth. But those who belong to these organisations do not deserve to be traduced as shoddy compromisers. Secondary separation is a schismatic policy that sadly leads to disunity in truth. Aren't we meant to be 'all one in Christ Jesus', or am I missing something here? Very helpful Guy - thanks. Mostyn. The apostle Paul said we're to welcome one another as Christ welcomed us to the glory of God, and I am needing grace upon grace to just that. Having been steeped in Arminian evangelical Christianity from the time of my salvation in 1982, it's only been in the past several years that I've had my eyes opened to the beauty and wonder of Christ through the doctrines of grace (in large part due to The Doctor's teachings). I long to be a gracious Calvinist as I hold to and teach those doctrines to others.